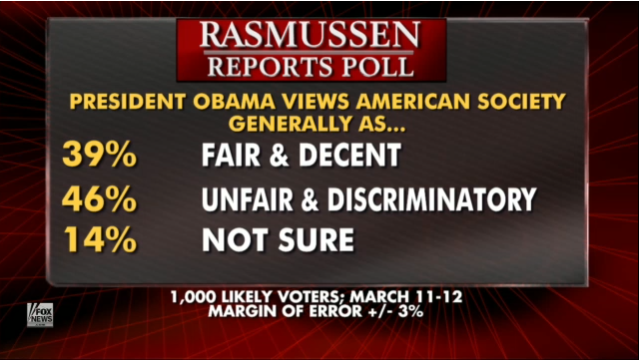 A sizable majority of voters continues to feel that the United States is generally a fair and decent place, but the number who think President Obama disagrees with them is at its highest level since late 2010. 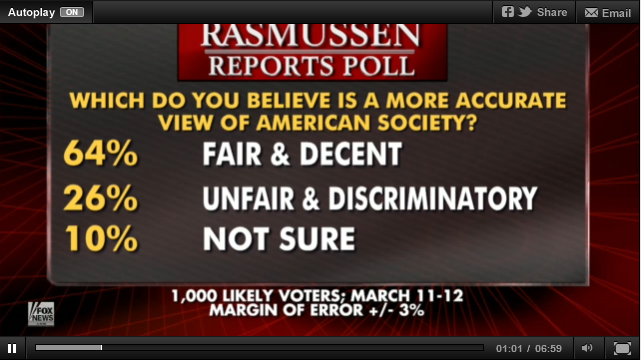 The survey of 1,000 Likely Voters was conducted on March 11-12, 2012 by Rasmussen Reports. The margin of sampling error is +/- 3 percentage points with a 95% level of confidence. Fieldwork for all Rasmussen Reports surveys is conducted by Pulse Opinion Research, LLC. See methodology.